If you’re feeling a bit hungover you might want to look away now – especially if you’re craving some fried chicken. 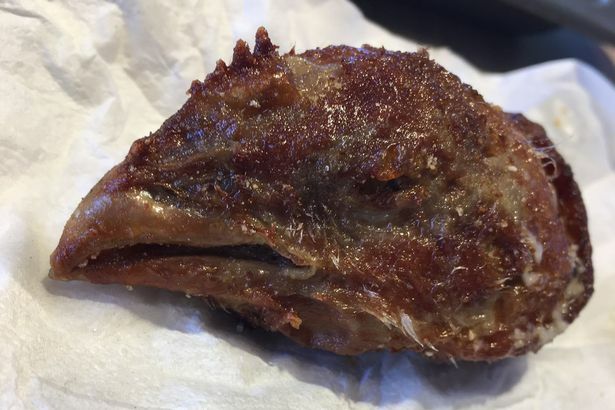 In the latest in what seems like a constant series of disgusting things found in fast food, one customer claims to have discovered a whole fried chicken head in his wings meal. As is tradition these days, he took to the internet to show off the disgusting find, posting a video of it to LiveLeak yesterday, where it’s since been viewed 20,000 times, The Mirror reports. 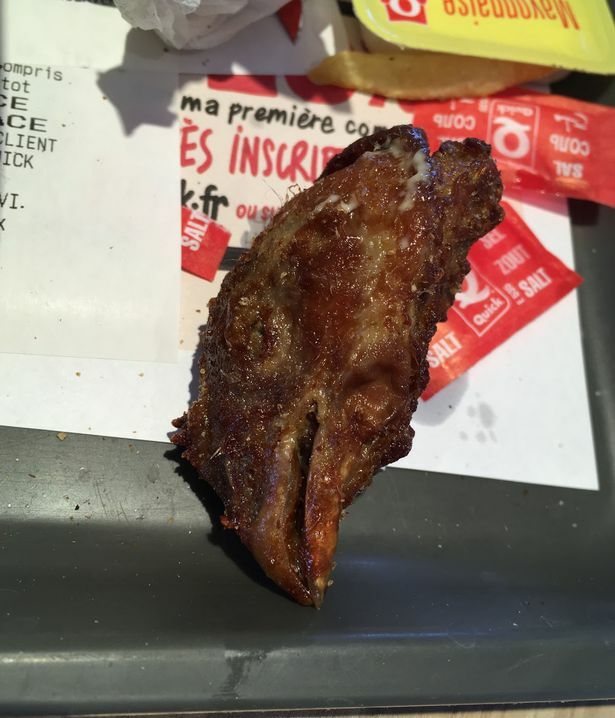 According to the guy, he found it in his meal at a ‘Quick’ fast food restaurant in France.